The Autosport International Show kick starts the New Year and BMR Racing and Subaru are delighted to announce their presence at the show. Europe’s largest motorsport show opens its doors 12th – 15th January 2017 at the NEC and BMR Racing and Subaru can be found at stand 6000 in Hall 6. 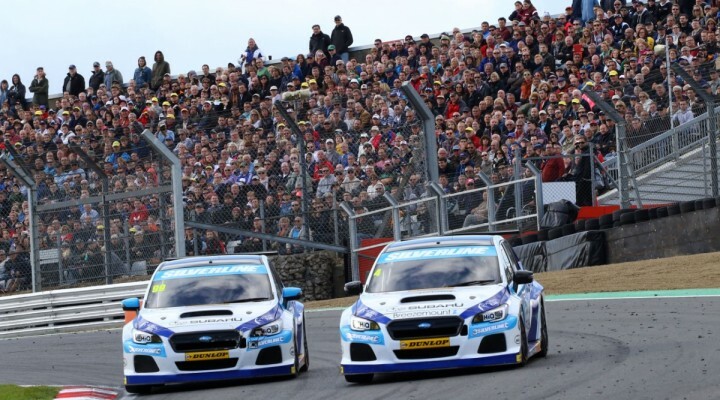 Exhibits will include the 2016 Dunlop MSA British Touring Car Championship-challenging BMR Subaru Levorg and its road going counterpart, as well as the 300PS Subaru WRX STI performance flagship, the BRZ sports coupe and BMR Academy’s Go Karts. Visitors to the stand will have the opportunity to get up close and personal with the cars and grab the chance of winning an amazing one-off BMR prize package. If that wasn’t enough, also included, for the very first time, a private factory tour of the BMR Headquarters in Hertfordshire during the summer of 2017. For your chance to win, visit us on Stand 6000 in Hall 6 and take a Subaru selfie, tag @TeamBMRBTCC and @SubaruUK on Twitter/@BMRRestartRacing and @OfficialSubaruUK using the hashtag #BMRSuperFan.